It is very ironic that the last legacy of this war in Iraq, which was intended to change hearts and minds in the Arab and Islamic world toward the West is bringing about the extinction of one of the oldest Christian communities in the world. There were 1.2 million Christians in Iraq before the war. There are now only about 500,000. Proved or Not Proved. That is the Question. Stephen Jones corrects me. Correctly so!
. . . that I don’t believe there will be any more evidence found IN THE BIBLE that supports the Shroud being authentic does not mean that I believe the Shroud has not been proved to be authentic. I DO believe the Shroud has been PROVED to be authentic. Not in an absolute mathematical or philosophical sense, but in the SCIENTIFIC sense of the preponderance of the balance of the evidence for and against. Every day criminals are jailed and even executed, having been convicted by courts on far less forensic and circumstantial evidence than there is that points to the Shroud to be authentic. In agreeing with Stephen’s point that more evidence is not to be found in the Bible, I accidentally implied that Jones and I were in agreement about proving that the Shroud of Turin is authentic. As you can see, Stephen thinks that authenticity has been proved. He is not alone. A significant number of scholars agree. I don’t agree, however. I think it is real. I believe it is real. I think, as I say in my post, that we can infer it is. I think, however, that the proof is elusive. The whole argument may have to do with how we define proof and how we establish criteria. 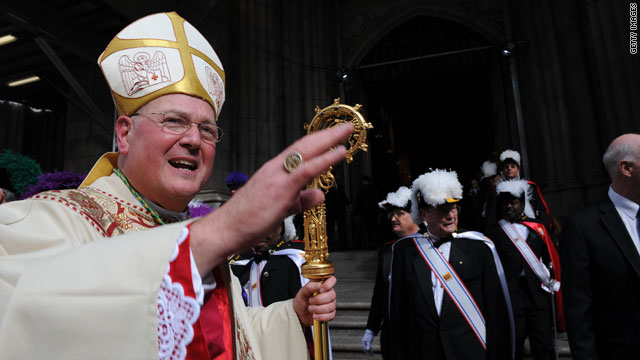 New York Archbishop Timothy Dolan was chosen Tuesday as the next leader of the United States Conference of Catholic Bishops. 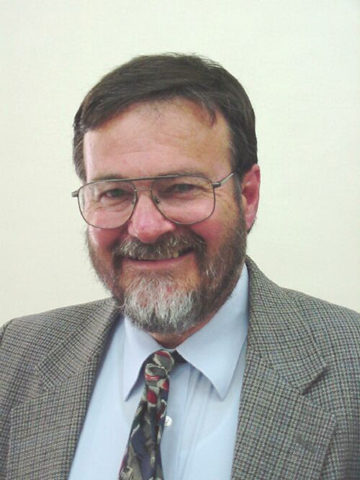 Dolan defeated Bishop Gerald F. Kicanas of Tucson, Arizona, and eight others to win the three-year term. The vote was 128-111, according to conference spokesman Don Clemmer. Dolan will replace Cardinal Francis George, who did not run for re-election. But the block universe, and the notion of God’s timelessness, have been challenged by scientists who also work on the relationship between science and religion. I’m thinking here of two physicists who are also well known as theologians, John Polkinghorne and Ian Barbour. in Their questioning of the classical idea of God’s timeless nature presents an enormous challenge to received ideas about God. Interestingly, it’s a challenge that stems from both scientific and theological concerns. Both men have received the Templeton Prize, both earned doctorates in theoretical physics and theology, both have given the Gilford Lectures, both have published many books on the subject of religion and science. 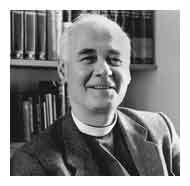 In addition, Polkinghorne is a Fellow of the Royal Society (England’s academy of science) and an Anglican priest. Polkinghorne borrows another notion, from process thought. In process thought, change is not regarded with the suspicion that it is in the Platonic thought of Augustine. Change might be for the better — as evolution seems to imply, with its tendency to greater complexity and the emergence of consciousness, and then the moral sensibilities of self-consciousness. Surely, such change is a good thing. What this implies, for Polkinghorne, is that God can’t know the future because the future is not fully determined by the present. There is genuine novelty in the universe. Subject to time too. God’s perfect knowledge of the universe is not absolute omniscience but current omniscience: God knows about what exists, not about what doesn’t yet exist. The two theologians argue that this apparent limitation on God is a distinctively Christian notion. It’s called kenosis, and is revealed in the incarnation of Jesus when, as Paul’s letter to the Philippians has it, Christ emptied himself of his divine (eternal) nature and became human (temporal). God does so out of love, in order to be alongside his creation. It seems to me that Richard Swinburne was arguing this same thing. Hmm: Polkinghorne and Swinburne are both at Cambridge. I have reason to believe the Shroud is authentic. These reasons are more spiritual in nature than scientific. However I do believe the science for proof is right around the corner. My belief more comes out of the book. I believe we are in a time where God is revealing more and more spiritual truths from the book. What is already known about the Shroud complements the Gospels’ account of the suffering, death and resurrection of Jesus. But I doubt if there will be any more evidence from the Bible that will support the authenticity of the Shroud and vice-versa. What we already have is more than enough. I agree with Jones and I don’t think proof is around the corner. In fact, I doubt we will ever prove that the Shroud is in fact the burial cloth of Christ. I think that we can infer it. Links to "The Real Face of Jesus? The Red Stains on the Lier and Other Shroud Copies and a personal interview with Dr. McCrone. By Dr Remi Van Haelst. Go visit. BTW, they could use some help. Read the announcement at the bottom of the home page and consider a donation. (I did so) Thanks.